Delivering successful experiences is a continuous process requiring flexible teams and smart strategies. With us, you have both. Our holistic and disciplined process creates people-friendly solutions that work. We’ll work to balance your business goals, audience needs, and technology platforms, to create experiences that deliver the right information and functionality at the right time in meaningful and effective ways. Our team combines deep knowledge with focused, people-centered processes so you can present a unified, effective presence across every channel. We’ll work to help you reach your target audiences with products and services when and where they need them — every time, everywhere. Our work is guided by the knowledge that business goals, target audience needs and technology must be understood and carefully balanced to create experiences that deliver the right information and functionality to people at the right time in meaningful and effective ways. The Experience by Design team combines this knowledge with disciplined and people-centered processes that help our clients create an effective and unified presence across all channels and platforms to reach their target audiences and deliver products and services when and where they need them—any time, everywhere, on demand. "Experience by Design’s rational, methodical approach to UX design, coupled with their ability to quickly understand and apply insights to our complex application domain, blew us away." 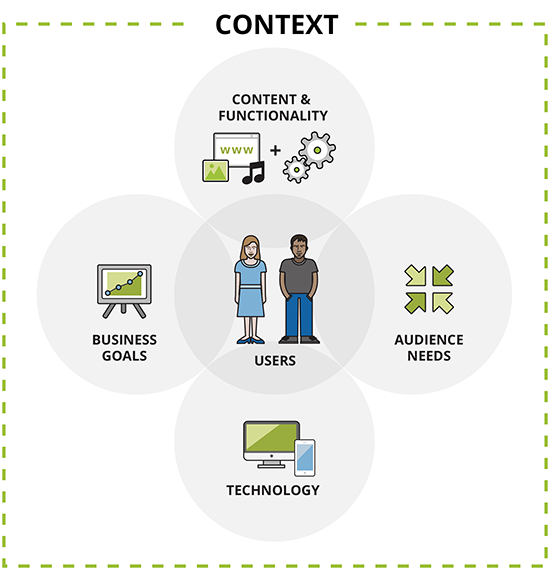 Cross-channel digital experience strategies and content to engage a global soccer audience. New content strategy and redesigned navigation to provide a more engaging, intuitive, and friendly user experience. Experience by Design has worked with clients from a range of industries since 2001. Using a mix of big-picture thinking and UX design techniques, we have helped venture-backed and Fortune 500 companies, associations, nonprofits and public sector organizations deliver successful, user-friendly experiences and solutions to their target audiences for better performance and results. Download our brochure to get started on the road to improving business performance and results with better UX.